This new novel is full of relevant and current topics that I believe will impact many. We take four high school seniors through the ups and downs of their senior year of high school. At the end of their senior year, and on the brink of stepping out into the journey of life, they make a commitment to come back to every high school reunion! So we follow them from their 10th reunion through their 60threunion, and you can just imagine how much their lives are going to change as they go through college and progress on through their lives. Which paths will they take and what will influence their choices? But the last chapter is the 1000th reunion! The real key is who is going to meet up together on the other side! We cover all kinds of topics in this book from suicide, creation/evolution, absolute vs. relative truth, racism, homosexuality, Islam, and a host of other issues. 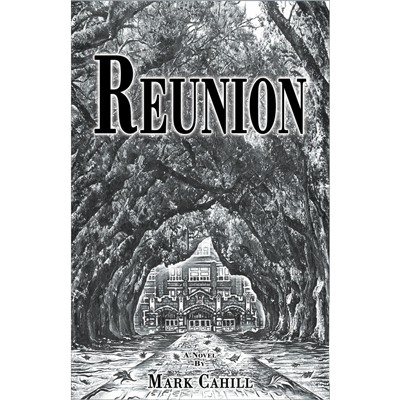 This book is a historical novel, or realistic fiction, but it is set in the very famous surroundings of Stone Mountain, GA which is rich in history. So we get glimpses of the Confederacy and the Deep South as the story unfolds. It is a real page-turner with its quick-paced dialogue and light-hearted humor. A bunch of people that I have already given it to let me know they read it in one sitting and that it is so riveting, it’s hard to put down!